If you’re looking for a more inexpensive option for traditional shaving then this kent infinity fibre brush could be your solution. The synthetic fibre is made to imitate badger hair, which is perfect for those who prefer not to use animal hair as part of their shaving routine. The handle, in an elegant creamy ivory is beautifully weighted and is made from a high end acrylic. 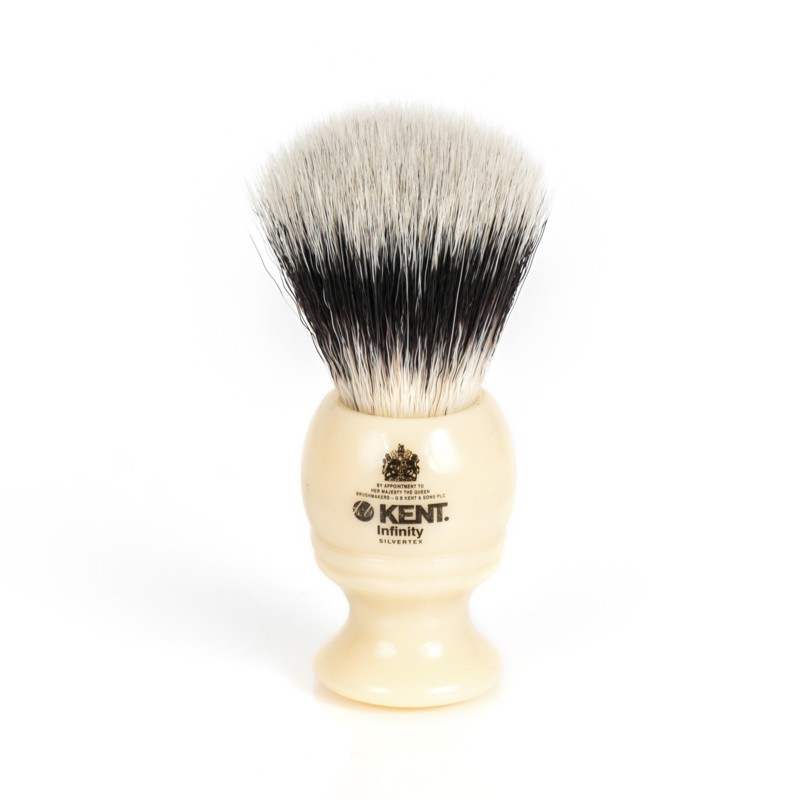 The Kent Infinity traditional shaving Fiber brush, Is priced so very well at £15. As a traditional shaving shop we try to offer you an ethical option, to animal fur. Kent’s Infinity Is certainly that, with Its Silver Tex fiber hair. 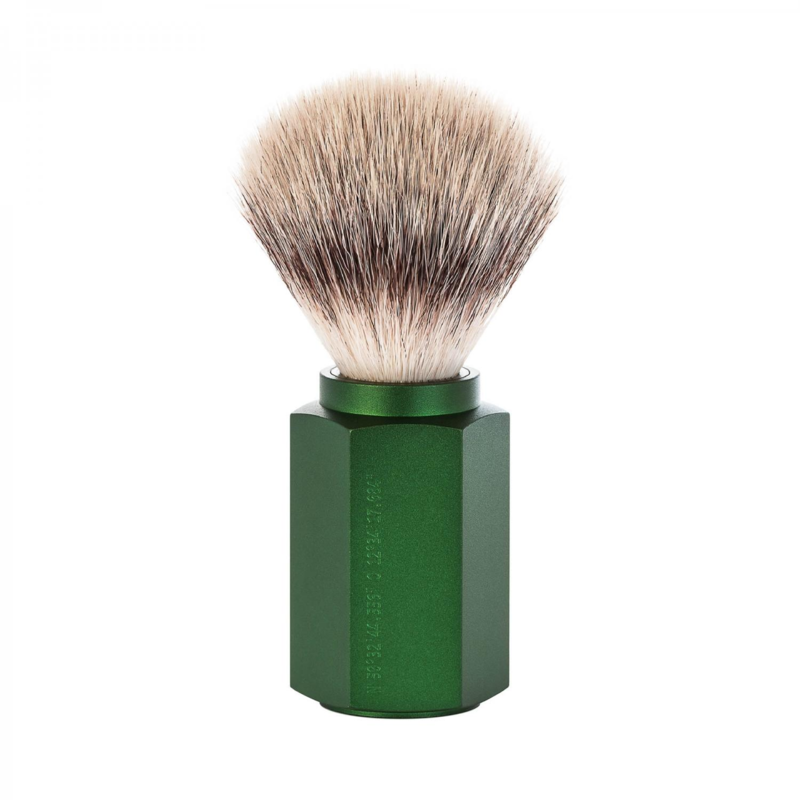 It Is very similar to the real thing being badger, which has been used In traditional shaving since the 18th century. Kent are an old English company and brush maker to the queen. They were formed In 1777, and Edward’s Is a proud retailer. The brush Itself has ring knot of 22 mm and a brush loft of 51 mm. 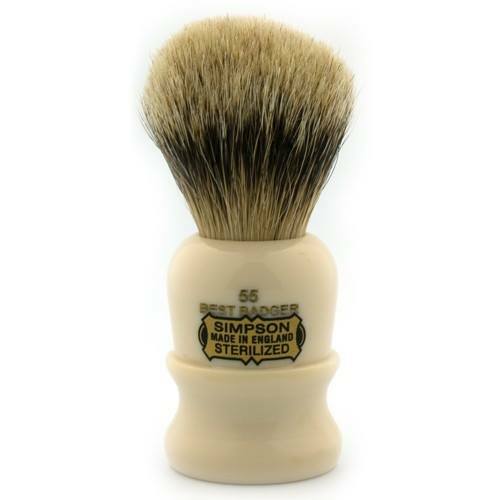 The brush Is light at 49 g, as opposed for example to a Muhle traditional brush weight which Is 127 g. Its faux Ivory resin handle Is very durable, and Is a standard Kent handle, also on other high end brushes. 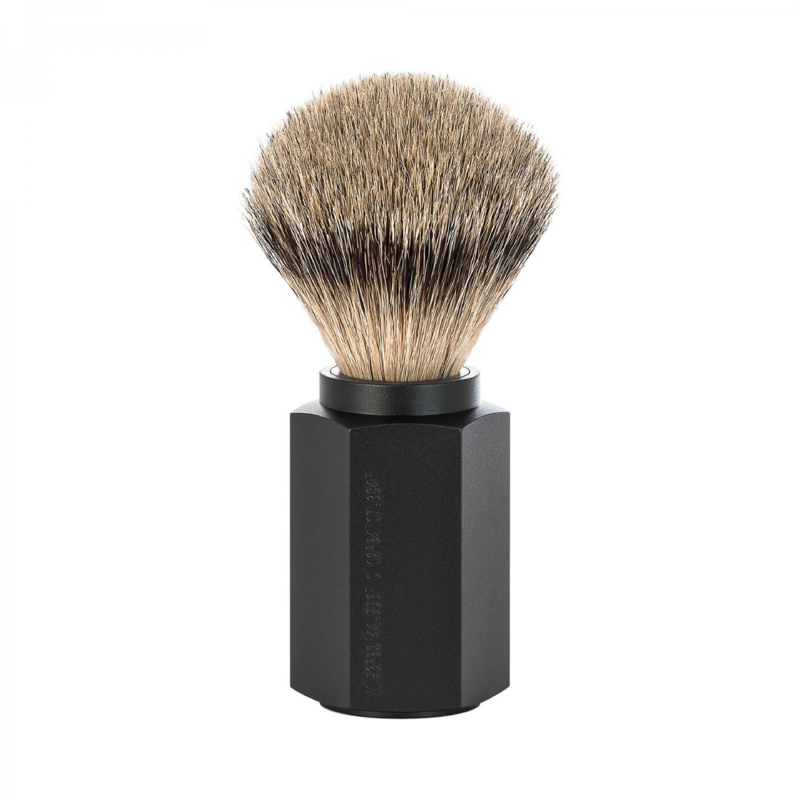 Kent shaving brushes are easily maintained with rinsing In water and leaving to dry. A good brush with this care should last up to 10 years. Edwards traditional shaving emporium have a great deal of shaving knowledge that we lovingly paste on our blog. Why not have a look, I’m sure you will find some shaving gold dust. Otherwise why not contact a member of our epic team, who are well good at answering your annoying questions.